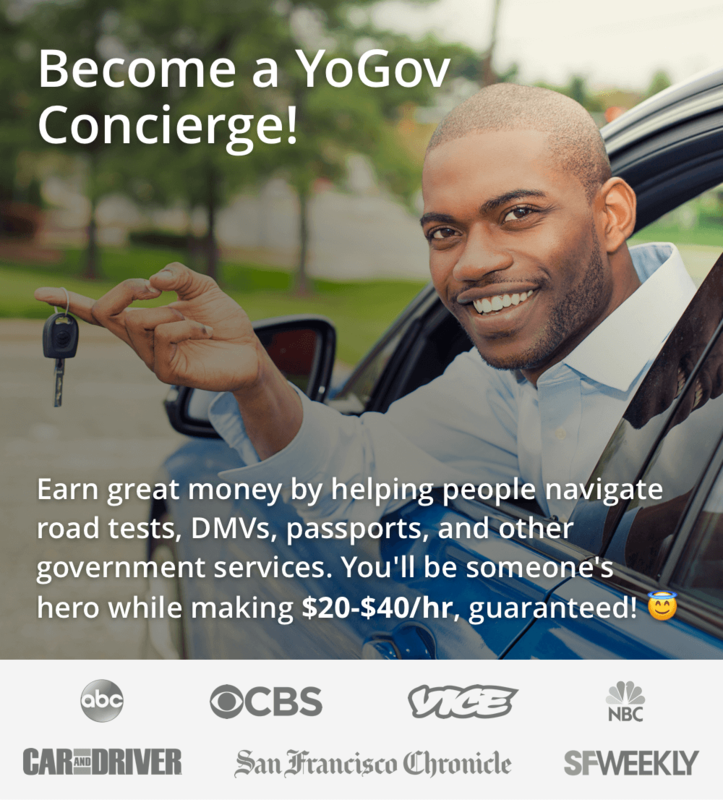 YoGov is your government services concierge. We help people navigate DMV lines, road tests, passports, and other government services through technology and through our amazing concierges. That's where you come in! We're currently helping people in dozens of cities across the US. 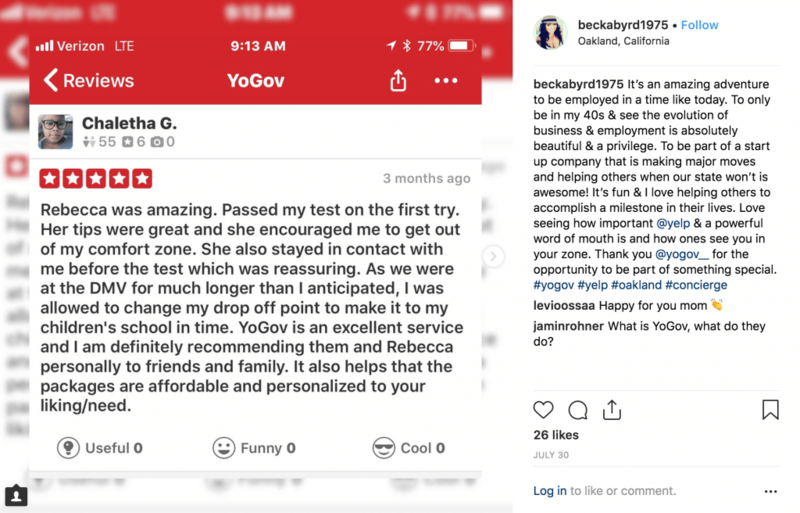 Apply today to find out why everyone is turning to YoGov! 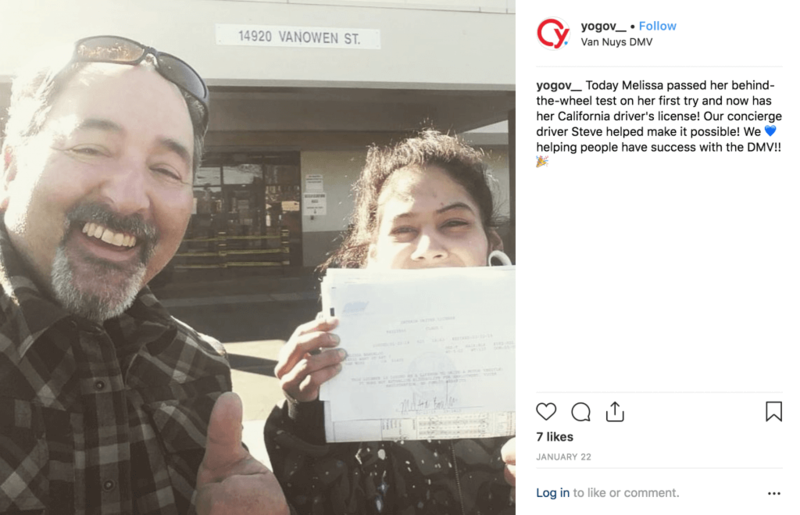 YoGov has been featured in various media including the SF Chronicle, ABC News, CBS News, Car and Driver, Vice, and more. What are you hiring for now? We are currently hiring for Road Test Concierges ($30+/hr, plus tips)! 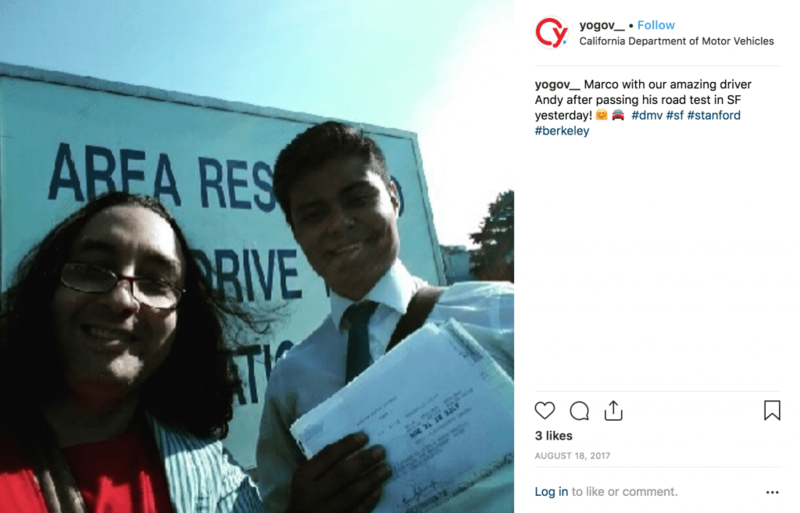 As a Road Test Concierge, you will be allowing experienced drivers to use your vehicle in order to take their DMV driving test, as well as picking them up before the test and dropping them off afterward. Each road test takes about 3 hours and has a flat rate payout. If you're selected, you can pick up trips that fit your schedule from our YoGov Concierge app! While last-minute opportunities can come up, you'll also have the opportunity to pick up trips that are days or weeks in advance. This is not a part-time or full-time job; you will be an independent contractor just like if you drove for Lyft or Uber! From helping people finally pass their road tests, to waiting in DMV lines on national TV, our Concierges are the heart of our company. Check out our gallery of Concierges in action and learn just how emotionally and financially rewarding it can be to join our Concierge team. Start helping people navigate government services today! Limited spots available across the US.